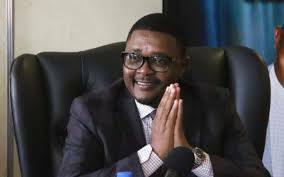 THE State has written to former Foreign Affairs minister Walter Mzembi’s lawyer, requesting to be furnished with a detailed medical report after videos showing him to be well surfaced on social media platforms. Prosecutor Brian Vito told magistrate Hosea Mujaya that he had sent a letter to Mzembi’s lawyer Job Sikhala, requesting a medical report apprising them of the ex-minister’s medical condition. “Your worship, we have written a letter to Job Sikhala requesting a detailed medical report. Sikhala told me that the report will be ready by Friday. Although Sikhala said his client was unwell, reports on social media is showing his life is not in danger. There was a rumour on the social media, your worship, that he is dead, but there was a video of him saying he is well,” Vito told the court. Vito asked the court to postpone the matter to March 26 to allow them time to prepare for trial and separation of dockets, if there was need. But Mujaya objected to the long remand, saying the prosecutor must remand the matter to a nearer date. Mzembi is being charged together with Aaron Mushoriwa and Susanna Makombe Kuhudzayi on allegations of criminal abuse of office. However, Mushoriwa’s lawyer Farai Mushoriwa asked the court to remove his client from remand, saying the State was punishing him by letting him come to court, knowing that there would be no trial. Mushoriwa said his client was on stringent bail conditions and was reporting every week to the police, adding that the State should proceed by way of summons when they were ready.